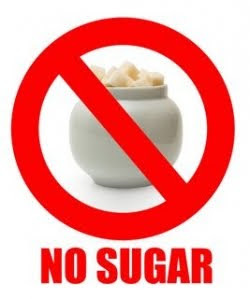 All strength training classes are in a challege to NOT eat sugar, fructose, sucrose, high fructose corn syrup or form of sugar in the top three ingredients of any food for an entire week. Fruit is ok, however keep quantities in moderation and eat a protein along with your fruit. Time to hand over that snapple bottle, gatorade or red bull that may be in your possesion for today's lunch. Find someone who is willing to take this challenge with you. Ask a parent, sibling or friend to help keep you on track for the week. Tell someone what you are doing as it might help to hold you more accountable. This may even become a lifestyle. Take it one week at a time. ***If you catch anyone of your friends breaking the rules of the NO Sugar Challenge please send a picture to jwagner@soudertonsd.org to be considered for publication on this website. Be Careful what you are eating.